ACTT mission is to run a successful social enterprise, dedicated to building effective and sustainable business model that bring social good to the society in form of support schools programs as well as IT trainings for development of the marginalized in the society. ACTT vision is an empowered, IT knowledgeable community that effectively utilizes IT resources and tools to play key role in development. 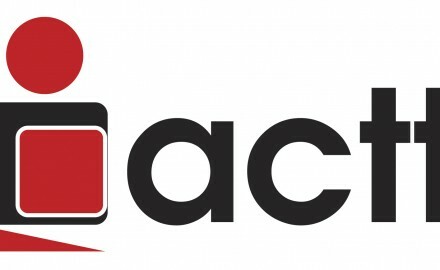 ACTT (Affordable computers and technology for Tanzania limited) is a leading social enterprise, dedicated to building effective and sustainable business model that bring social good to the society in form of support schools programs as well as IT trainings for development of the marginalized in the society. ACTT’s runs an IT products and services social enterprise business that additionally promotes individual, community and national development through ICTs. ACTT supplies low cost new and refurbished computers and peripherals as well as maintenance, repair, environmentally friendly disposal and training services. We focus more in supporting setup of sustainable computer labs within educational institutions of Tanzania. ACTT has been in partnership with Close the Gap, an international NGO in Belgium since 2011, in implementing our ICT in Schools Project. Close the Gap supplies high-quality pre-owned IT equipment’s, like desktop computers, printers, laptops, etc. on schools demand and ACTT distribute to schools in a subsidized costs. Through the partnership we have been able to support over 90 educational institutions in Tanzania setup sustainable computer labs that have helped in enhancing learning and development. 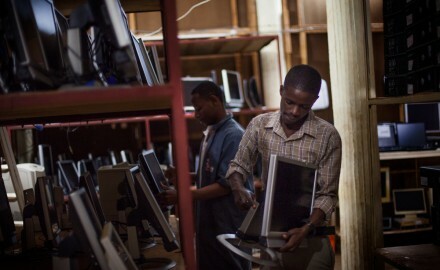 Computers age with time and maintenance become expensive causing risks of irresponsible dumping. This poses high risk in human and general environmental pollution due to its chemical composition and to safeguard this ACTT has acquired a permit from National environmental council of Tanzania to collect, transport and store electronic waste and has entered into a partnership with WorldLoop Belgium to ensure final safe, zero landfill, and friendly environmental disposal. Ensuring sustainability and effective utilization of resources deployed for educational purposes through upgrades which both ensure safe disposal of old and obsolete resources while newly deployed resources offer better learning opportunities through newer and upgraded software’s. Advocate our countries sustainable development and growth by taking lead is environmental campaigns in particular to safe and environmentally safe disposal.